Famed wild deer in the city of Nara appear to be growing increasingly frustrated with tourists who make them wait to munch on crackers while trying to frame the perfect photo. 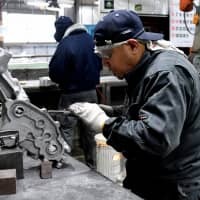 The Nara Prefectural Government said Thursday that the number of injuries caused by the deer in Nara Park hit a record 164 cases between April 1 last year and January 31, exceeding the 118 cases reported in the previous fiscal year. Of the 164 cases, around 80 percent involved foreign tourists — most of them Chinese — it said. 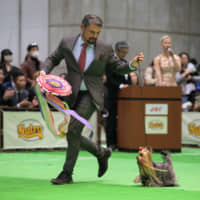 Most of the injuries were minor, with tourists having their hands bitten lightly while feeding the animals, according to the prefectural government. 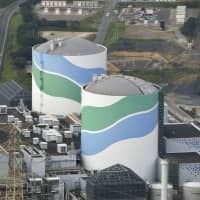 The rise is partly due to the increasing number of foreign visitors, prefectural government official Yuichiro Kitabata said. But he also blamed tourists’ increasing eagerness to stage good pictures with the deer. 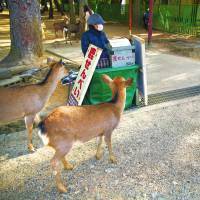 According to Kitabata, many tourists lure the deer with shika senbei (deer crackers), which are sold in Nara Park. 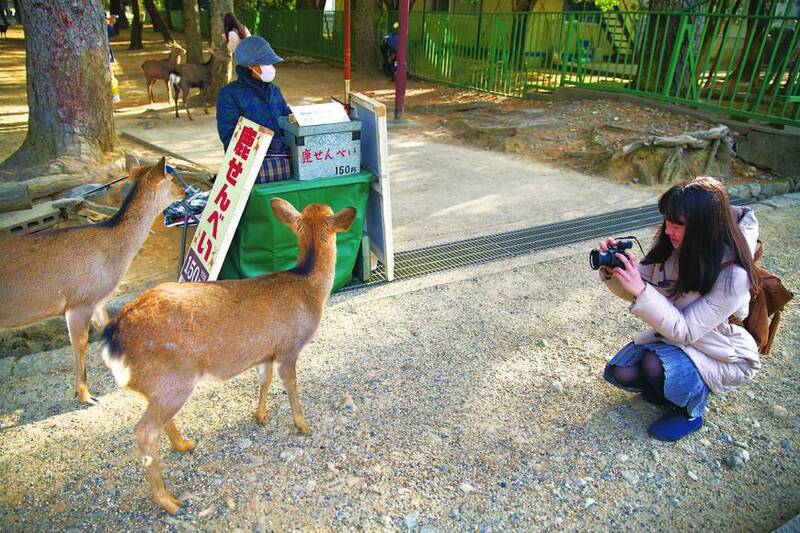 But once the deer approach the tourists hide the snack, making the animals wait as they try to snap the perfect shot. And that makes for some irritated deer. Some tourists also anger the deer by climbing on their backs, he said. The prefectural government has tried to advise tourists about how to behave around the animals, releasing informational videos and posting 40 signboards in several languages around the park. But the effort appears to have fallen short. 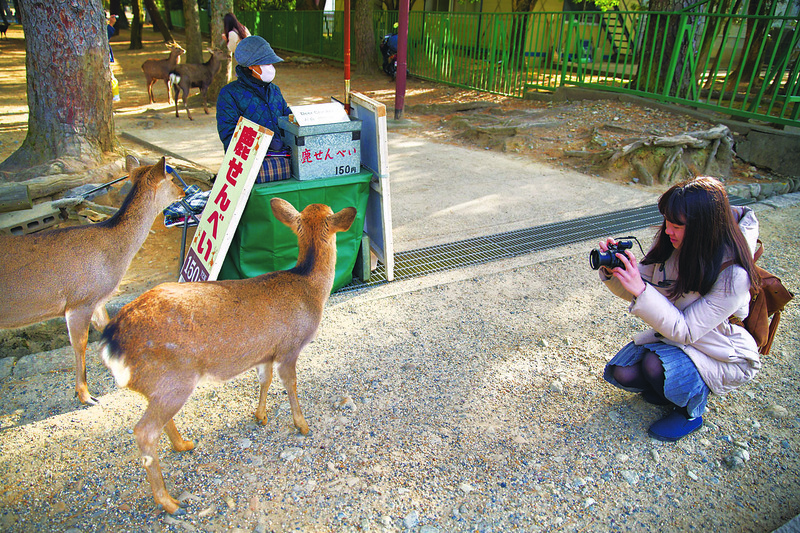 The park — home to nearly 1,500 wild deer as of July last year — is one of the most popular tourist destinations in Nara. 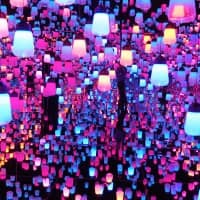 According to the Japan National Tourism Organization, the number of foreign visitors to Nara Prefecture surged to 1.65 million in 2016 from 285,000 in 2012. 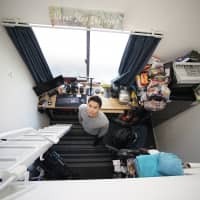 Of the 1.65 million, 42 percent were Chinese, followed by 18.3 percent from Taiwan, and 10.3 percent South Korea.